Now, I’m not arguing against reading books not set in Australia – far from it. It’s just that, as a reader, when I look for narratives from outside Australia, I tend to look to writers from those places outside Australia. So … what specifically do they mean? Do they mean they’d like more narratives by Australians about Australian experiences abroad? Both these novelists use plot-driven novels to explore not only personal growth, but socio-political and environmental issues affecting the southeast Asian region, issues important for Australians to understand. Other contemporary novels by Australians about Australians abroad include Murray Bail’s The voyage (my review), Diana Blackwood’s Chaconne (my review), Angela Meyer’s A superior spectre (my review), and Tim Winton’s The riders. I questioned my desire to do so, when there are so many great Scottish writers writing about Scotland. But the desire would not go away, and I knew that the lens I was applying would be Australian — my character, Jeff. Writing fiction set in Thailand provided both a means to process my experiences and an outlet for the travel stories nobody would listen to. Interestingly, but perhaps not surprisingly, several of the novels I’ve read that include Australians abroad are historical fiction works set during, or post, various wars, such as Alan Gould’s The lakewoman (my review), Joan London’s Gilgamesh, Richard Flanagan’s The narrow road to the deep north (my review). All of theses enhance our understanding of the personal, social and/or political impact of war on Australian life and culture. Do they mean they’d like to see members of our diverse population writing about where they came from? There are many memoirs on this topic, but, while the Stella Prize encompasses all forms and genres, my focus here is fiction. A memorable example for me is Merlinda Bobis’ Fish-hair woman (my review), which is set in the Philippines during the civil unrest of the 1980s. It’s a strong, evocative piece about humanity and the stories we tell (or manipulate) in the name of it. Other Australian writers who have written about the places they came from include Michelle de Kretser in The Hamilton case, Sara Dowse in Schemetime (my review), Kavita Nandan in Home after dark (my review), and, coming up this year I believe, debut author Elizabeth Kuiper with her debut novel about coming of age in Zimbabwe. Or, do they just mean they’d like Australian writers to set books elsewhere. Markus Zusak’s The book thief is an obvious example (my review). But others are Eva Hornung’s Dog boy (my review) and Marion Halligan Valley of grace (my review). These are all great novels, in which their authors have used their imagination and experience to explore universal truths in places other than their own. Each has a reason for making that decision – Hornung, for example, being inspired by a news article – and each has created a book that I have loved for its heart. Why seek Australian narratives set outside Australia? I don’t know what the Stella judges specifically meant, but I think Savage has nailed it. In the end, what we want to read is as many different perspectives as we can because diverse reading opens our eyes and minds to other ways of being and seeing. However, my point is one of degree. I welcome these books (as those of you who read my reviews will know), but I’m not sure that Australians writing “narratives from outside Australia” is a glaring gap that needs filling. I do hope all this has made some sense! If I were a book is one of those “gift” books you give to readers – and it was in that spirit that it was given to me for my birthday a couple of years ago. It’s a delight of a book, and is somewhat quirkier than these sorts of book-lovers’ gift books often are, which is why I’ve decided, finally, to share it with you. Or, have you seen or read it already? My edition is a little hardback of 60 plus pages produced in San Francisco in 2014. The original, however, was published in Portugal in 2011, the author being Portuguese. The illustrator, André Letria, happens to be his son. Now I hadn’t heard of José Jorge Letria before, but he was born in the Lisbon District of Cascais, in 1951, and is apparently, says Google’s translation from a Portuguese biography, “a journalist, poet, playwright, fiction writer and author of a vast work for children and young people.” This biography also tells us that he has won many many national and international literary awards, including the Unesco International Prize (France), the Barcelona Classical Poetry Prize, the Plural Prize (Mexico), the Prize of the Paulista Association of Art Critics (São Paulo), and the Gulbenkian Prize. He has won prizes for “the environment in children’s literature” and the Manuel de Arriaga Prize for his contribution to the defense and dissemination of animal rights. He has been on many Portuguese, European and international literary boards, and his books have been translated into “over a dozen” languages. Yet, I hadn’t heard of him, until, that is, I was given this delightful …. I’ve chosen these three because the one suggests the way I like to read – slowly, savouring the words and ideas – and because the other two contain aspirations that I’d love books to achieve. You can see how in some images the book is supersized, while in others its size is more “normal”. The images are simple but beautifully whimsical, the colour palette is minimalistic, and the text’s font feels a little worn and loved. And here, I think I’ll leave it, because what more, really, can I say? 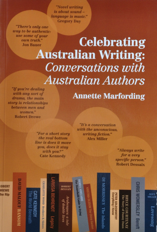 whisperinggums on Monday musings on Australian literature: Narratives from outside Australia? Lisa Hill on Monday musings on Australian literature: Narratives from outside Australia?